The high elevation of Crested Butte and the Gunnison Valley is a blessing, and a curse. We have relatively cool summers, beautiful mountain vistas, and Colorado’s best wildflowers. We also have a lot of vertical relief, making for epic mountain bike descents. But, that elevation also makes it challenging to visit from sea level and ride at your best. There’s no getting around the fact that our air is less dense and that adds an extra degree of challenge to our rides. 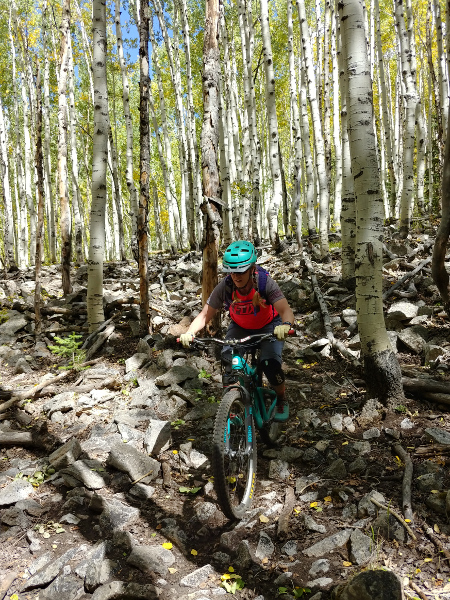 If you are coming up from low elevation and want to make the most of your trip, we recommend spending at least your first day riding in one of these trail networks to ease into our high altitude and still make the most of your vacation. Chasing the win at Borealis Fat Bike World Championships presented by Upslope Brewing just got even sweeter! After waiting for the right amount of snow to fall, and some major grooming efforts, we’re excited to announce that Saturday’s Championship Race will take place on the new trail system at The Club at Crested Butte. There’s plenty to be excited about with this new upgrade, but here are our three reasons why this course is even better than before. A week and a half ago, I became the first person to complete TrailQuest, a challenge to ride 750+ unique miles in the areas surrounding Crested Butte, Gunnison, Paonia, and Crawford. As a natural explorer and goal-setter, I easily gravitated toward this ambitious challenge. Some say that challenges like this aren’t for everyone. But, I beg to differ. A goal like this can be achieved by anyone with reasonable athletic fitness, a positive mindset, and a drive to accomplish something big. Long-term goals like this stretch both your body and your mind. It’s not about training for a single race and then finishing on top. In fact, it’s not really about a race at all. No trail times matter here. All that matters is that you finish what you started. My TrailQuest journey took me two bike seasons, generally spanning from June to September/October. Can it be done in a year? Certainly. But, the person who will do this will likely not hold a full time job. For many, this goal will span two years or more. And that’s what makes this long-term goal so great. Too many of us focus on goals that are achievable in the near future. But, goals that span over years are more rewarding in the end. 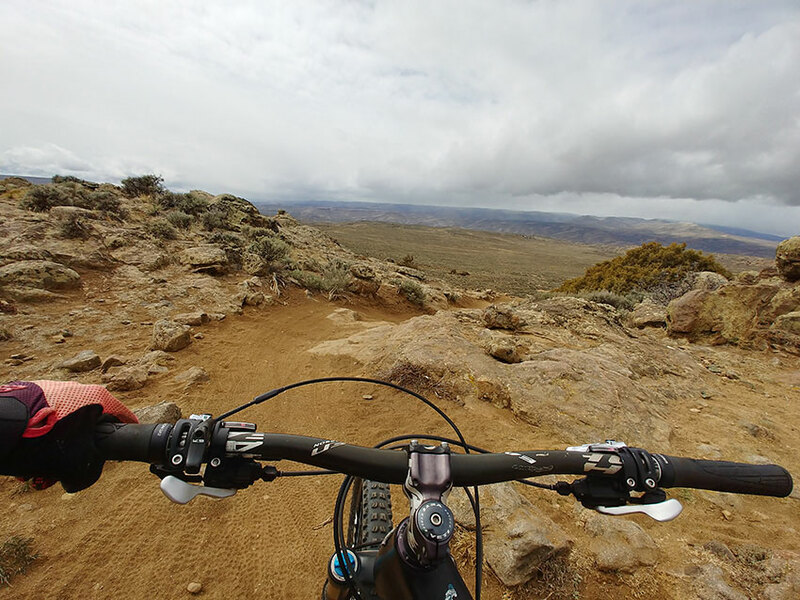 At Hartman Rocks, you can pick up about 40 miles of singletrack riding towards the 750+ total unique miles in the Gunnison Valley. I think that makes it the most dense location for picking up miles in the entire Valley, and the miles themselves are pretty fun across the board. Learn more about TrailQuest, our unique miles challenge, at mtbhome.com/trailquest. This past April, I set out to ride 150+ miles on my bike. That was a fairly ambitious monthly total for someone with a full-time job living in a climate that often delivers a wintry mix throughout the month of April. It was even more ambitious because I didn’t want to skip any of my normal workouts at the gym and I was coming off many, many months of not riding my bike due to a broken shoulder (clavicle AND scapula) last September. An early season ride on a day the clouds were moving in. Over the last two years, Frank and I have been doing our best to chip away at TrailQuest – a challenge to ride 750+ miles of trails surrounding the Crested Butte and Gunnison area. Aside from giving us a fun goal to work toward, TrailQuest has also given us a reason to explore trails where we have not yet traveled. Even in areas familiar to us, we were able to seek out trails new to us. Outerbike in Mt. Crested Butte is just a few short weeks away. 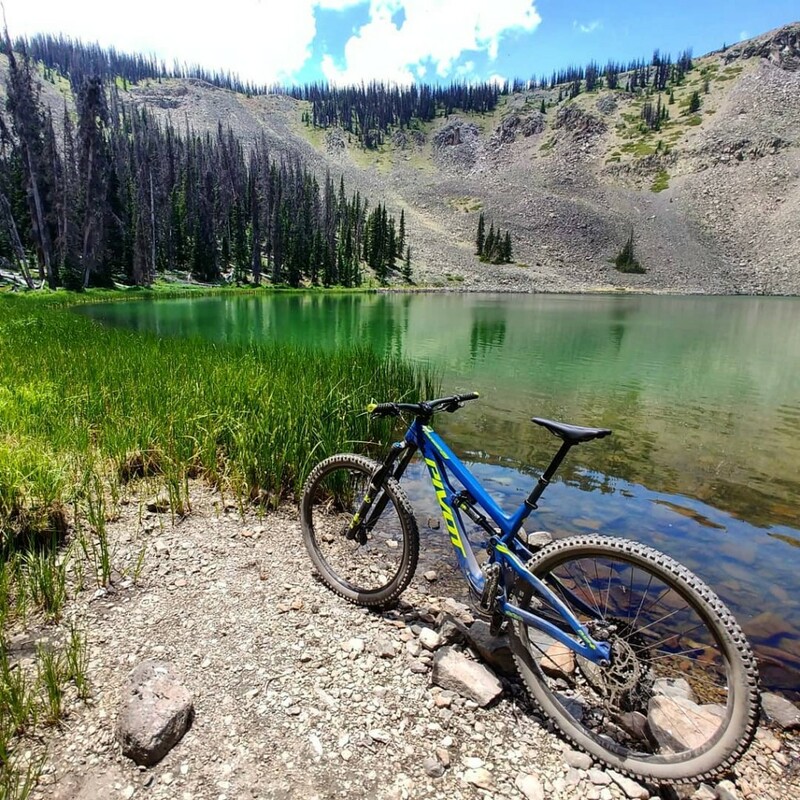 Arguably the best bike demo in the universe, it’s also a great weekend to explore the mountains of Crested Butte. Here are our top 5 reasons to make tracks for Mt. Crested Butte August 17-19, 2018. Once upon a time, my husband Frank and I thought we had ridden everything worth riding in and around Crested Butte /Gunnison. We’d ridden hundreds of miles of trails, and definitely found ourselves off the beaten path on numerous occasions. But, the TrailQuest Challenge showed us that we still had many more miles to explore, and we’ve been finding out that many of these miles are surely worth the ride. 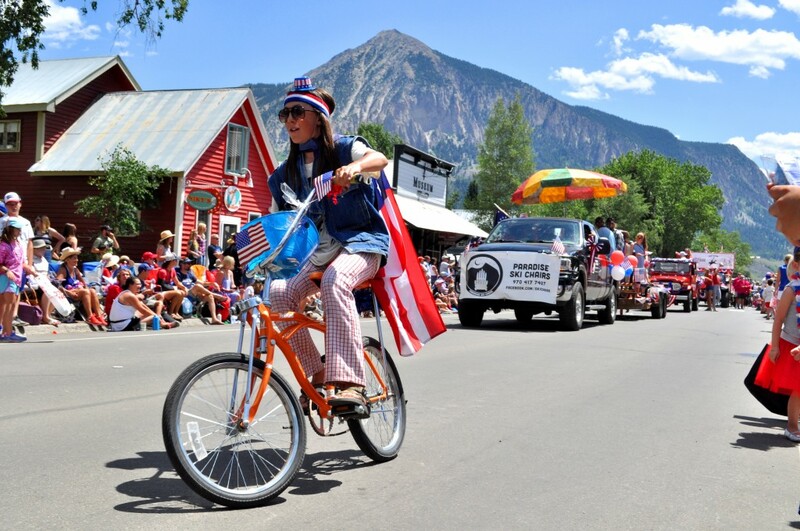 4th of July 2018 started off like most others in Crested Butte. A bit of traffic, a funky and fresh parade, and then an escape into the backcountry. Shortly before the end of the parade, and before we got doused in the massive waterfight that ensues, my friend Shaw and I loaded our bikes and struck out for the Crest for a ride down Agate Creek. An hour or so later we were dropping bikes at the top, and I drove the truck back down to set the shuttle with a short hitchhike. Once I locked up the truck it took all of five minutes for one of US 50’s many travelers to pull over and get me back to the top. Pretty spectacular, and some very nice people as well. Yes, Hartman Rocks has been open since March 15, but as hard as I’ve tried, it was only yesterday evening that I was able to squeak in a ride. The whole impetus for getting me down there was to shoot some video with Gunnison Trails’ executive director, Tim Kugler. So thank you Tim for giving me an excuse to duck away from the computer and put some miles in. By the way, that video covers a whole lot in the realm of Hartman’s current closures, which trails are in good shape, and which ones you should avoid for a little while longer. If you’re interested, you can watch it below.